I will be the first to admit that I have, in the past, been critical of Jake's film choices. His previous three movies (Zodiac, Rendition, and Brothers), in particular, seemed to be lacking. Unpopular though the opinion may be (and trust me, I've heard loud and clear from those who disagree with me), I didn't feel his enthusiasm in those films. I watched them and felt as though I was looking through to Jake underneath the characters he played. In each, he seemed to be going through the motions. I saw little genuine passion for the stories he was telling. So how ironic that I wasn't critical of any of those movies when they were announced, but Prince of Persia had me baffled. Why in the world would Jake Gyllenhaal risk his carefully crafted indie-boy, "serious actor" image on a big-budge Disney film where he was cast not for his acting chops, but because of his looks? The horror! 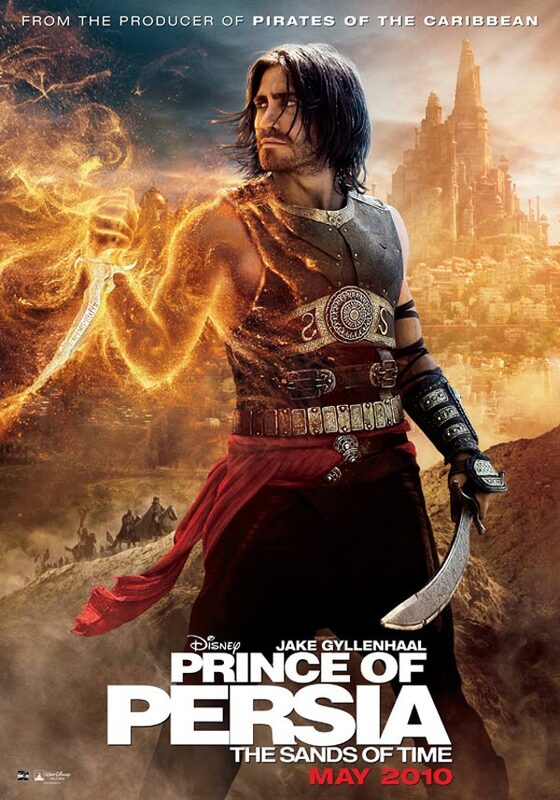 But from the time I saw the first Prince of Persia trailer until last night, when I finally saw the movie, my mind has slowly been changed on that subject. While he's said repeatedly (repeatedly!) in interviews that he did this movie because he wanted to have fun, for once, I actually believe his hype. He meant it. He actually looks like he's having a good time in this movie. 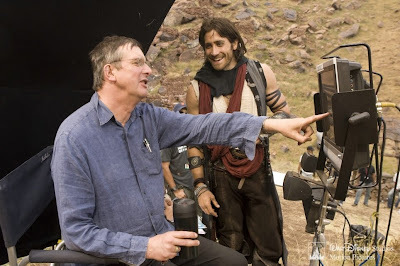 There is nothing about his character, Dastan, that seems strained, or unnatural, or made me think 'hey that's Jake Gyllenhaal up there acting his little heart out.' Crazy as it may sound, to me, this is the best performance he's given since Brokeback Mountain. That said, the problem is that Jake is leagues better than the movie he's in. Granted there isn't a person alive right now who hasn't heard that this film is based on video game; I just didn't realize how much seeing it was going to be like walking through that video game. There are quests, and bad guys to kill, and bosses to defeat before we move to the next level. What there isn't is a clearly understandable storyline. And while the action is non-stop from start to finish, there are (strangely) few truly memorable scenes or one-liners. The movie just kind of there, almost-but-not-quite living up to its own ambitions, somehow moving too quickly and relying a little too much on close-ups of Jake and Gemma Arterton to show any real confidence in its audience to invest in the complicated (if flat) plot. So no, it's not Oscar material, and yes, gamers may find the presentation more palatable than the average movie-goer...but hell, for 2 hours, Jake Gyllenhaal looks like he's having the time of his life in his chosen profession. And for that, Prince of Persia is nothing short of a miraculous movie. And now, because the mood of this post is already so somber, let us turn to The Pixel Project, which is a non-profit, volunteer-led organization that aims to brings global awareness about violence against women. Currently, they aim to raise "US $1 million in aid of the USA’s National Coalition Against Domestic Violence and Malaysia’s Women’s Aid Organisation via an online fundraiser in which a 1-million pixel mystery collage of 4 to 6 globally known Celebrity Male Role Models will be unveiled online as donors 'buy' each pixel for US $1.00." So how does ISJ fit into this? Jake is one of 5 nominees whom we can vote for to be part of this collage, and The Pixel Project has asked us to help get the word out about the project and to vote for Jake (who is currently in third place...the shame of it!). You can vote by clicking HERE, and I'll put a link in the sidebar a little later today. Should Jake be one of the top two vote-getters, he will be sent an online petition, which you can sign HERE. And because no good campaign is without a Facebook page, you can find that HERE. Huge thanks to Trijs for the YouTube find!! TOTALLY fun interview - yes, even Jake had fun! I'll be back later to further comment. Great review PG! They will be quoting that all over the internet! I will vote as often as i can, but that Eric guy from True Blood, he has ALOT of fans! (secretly- If Jake wasnt on the list he would be my pick) Lets hope we can get it there. The girls over at IHJ are usually pretty good at this sort of thing as well!!! Hmm..i just voted 10 times and his number didnt change. Dont tell me its one of those comps that you can only vote once from each computer?! PG, good to know that Jake was really enjoying himself. Unfortunately the film will debut in my country (Brazil) on June 3, so I have to wait a little longer to see. 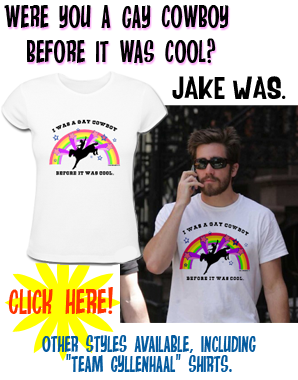 I'd love to share the vote with outos sites about Jake, as Gyllenbabble, Dark And Wild Wet and IHJ. But I need your permission to do so. I'll publish it in my forum here in Brazil. Monica, absolutely!!! Please post this anywhere you think we can get some votes! I just checked and Jake's only gone up by 7 votes since this morning (so Sam, you must be right that you can only vote once per computer...argh!). Just voted darlings! Hope you're having a fab weekend! Oh, God. Can I vote twice? Cuz I can't tell you how much I love Eric. I know, I know...the shame. 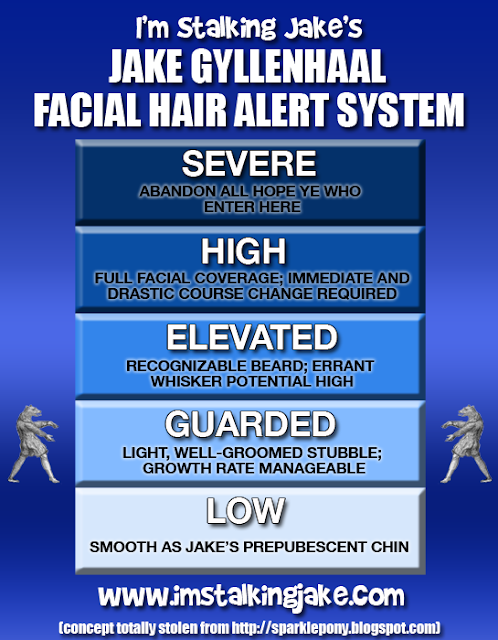 It's at the very least equal to my Jake love....seriously. Ok, on another serious note, how DAMN GOOD did Jake look in PoP. I mean....really? Thank you for voting for Jake! He's magically bounded up by over 100 votes over the past 12 hours! Way to go and keep spreading the word! 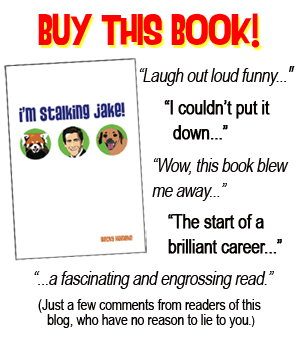 Team Jake thanks you - together we can push past Team Hugh (Jackman)! Please remember to sign the petition letter as this will be the letter going to Jake if he makes it to the top two voted nominees. So it's very important to have your name on the petition letter! If you need any help with anything to do with the voting or petition signing, please email us at info@thepixelproject.net!